Watkins caught four of eight targets for 114 yards during Sunday's 37-31 AFC Championship Game overtime loss to the Patriots. Watkins caught six of eight targets for 62 yards during Saturday's 31-13 win over the Colts. He lost two yards on the ground and fumbled during the contest. Watkins (foot) is active for Saturday's divisional-round game against the Colts, James Palmer of NFL Network reports. Watkins (foot) is inactive for Saturday's divisional-round game against the Colts, James Palmer of NFL Network reports. Analysis: Watkins seemed to be trending toward his first appearance since Week 9, but the Chiefs will preserve the veteran wide receiver and his right foot with a snowy pitch at Arrowhead Stadium. The offense has plenty of healthy bodies (Tyreek Hill, Chris Conley, Demarcus Robinson and Kelvin Benjamin) dotting the receiving corps, so Watkins will wait and see if his services will be needed for the AFC championship game. Watkins (foot) is listed as questionable, but is expected to play Saturday against the Colts according to Ian Rapoport of NFL Network. Watkins (foot) is listed as questionable for Saturday's playoff game against the Colts after logging limited practices this week. Watkins (foot) remained limited at practice Wednesday. 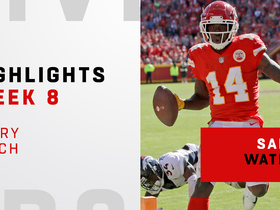 Analysis: The wideout has played in just one game since injuring his foot back in Week 9, but back-to-back limited practice sessions following the Chiefs' bye week have Watkins trending in the right direction in advance of Saturday's divisional-round playoff game against the Colts. His status will be revisited Thursday upon the release of the team's final injury report of the week. Watkins (foot) was listed as a limited participant on Tuesday's practice report, BJ Kissel of the Chiefs' official site reports. Analysis: Watkins has played just five offensive snaps since Week 9 and hadn't practiced since Dec. 6 before Tuesday's appearance due to a right foot injury. According to Brooke Pryor of The Kansas City Star, Watkins' foot was still "heavily taped," but his ability to put in some work bodes well for a potential return Saturday versus the Colts. His progression through the remaining practices this week ultimately will determine his odds to suit up in the divisional round. Watkins (foot) is on the field for the start of the Chiefs' practice Tuesday, Nate Taylor of The Athletic reports. Watkins (foot) has been ruled out for Sunday's game against the Raiders. 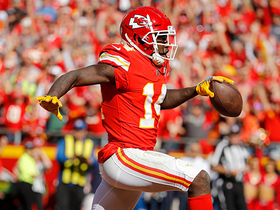 Analysis: With Watkins out and eying a return to the lineup when the Chiefs' postseason run begins, Chris Conley and Demarcus Robinson are once again in line to continue to see added looks in the team's Week 17 passing game behind top wide receiver Tyreek Hill. Watkins (foot) was a non-participant at Friday's practice, BJ Kissel of the Chiefs' official site reports. Analysis: With no activity yet this week, Watkins is trending toward a fifth absence in a row. If the preceding comes to pass, Chris Conley, Demarcus Robinson and Kelvin Benjamin stand to benefit behind top wideout Tyreek Hill. Watkins (foot) didn't practice Thursday, BJ Kissel of the Chiefs' official site reports. Analysis: Back-to-back missed practices have Watkins trending toward being ruled out for Sunday's game against the Raiders. 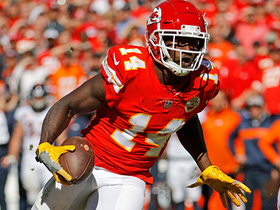 In the event that transpires, Chris Conley and Demarcus Robinson would be in line to continue to see added looks behind top wide receiver Tyreek Hill in Week 17. Watkins (foot) won't practice Wednesday, Brooke Pryor of The Kansas City Star reports. Analysis: On the plus side, Watkins has shed the protective boot he was sporting on his right foot for "preventative measures." Even so, it doesn't seem especially likely that he'll see game action before the playoffs. Assuming that's the case, Chris Conley and Demarcus Robinson will continue to see added looks behind top wide receiver Tyreek Hill when the Chiefs close out the regular season Sunday against the Raiders. Watkins (foot) has been ruled out for Sunday's game against the Seahawks. 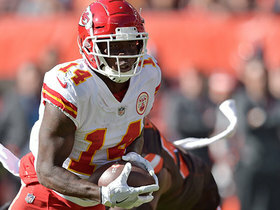 Analysis: With Watkins still out, added snaps should be available for Chris Conley, Demarcus Robinson and Kelvin Benjamin behind top wide receiver Tyreek Hill. Since Watkins didn't practice at all this week, he's not a lock to back it back in time for the regular-season finale Dec. 30 against the Raiders. Coach Andy Reid said that Watkins (foot) was the only Chiefs player who didn't participate in Friday's practice, Brooke Pryor of The Kansas City Star reports. Analysis: With no recorded on-field activity this week, Watkins looks on track to sit out for the fifth time in six games Sunday in Seattle. The Chiefs will provide an official designation for Watkins later Friday, but even if he garners a questionable or doubtful tag, it would be a major surprise if the wideout avoids the inactive list. Watkins (foot) won't practice Thursday, BJ Kissel of the Chiefs' official site reports. Analysis: Watkins has one more chance to return to practice in advance of Sunday's game against the Seahawks, but he's looking pretty iffy for that contest at this stage. If he remains sidelined this weekend, Chris Conley, Demarcus Robinson and Kelvin Benjamin would be candidates to see added snaps in Week 16. Coach Andy Reid continued to classify Watkins (foot) as day-to-day when he met with the media Wednesday, BJ Kissel of the Chiefs' official site reports. Analysis: Watkins won't practice Wednesday, and it appears unlikely he'll get any work in Thursday or Friday. With that in mind, the wideout's status for Sunday's game against the Seahawks looks shaky. If Watkins remains sidelined this weekend, added snaps would open up for Chris Conley, Demarcus Robinson and Kelvin Benjamin. Coach Andy Reid referred to Watkins (foot) as day to day, yet also acknowledged he isn't sure when the wideout might be available, Brooke Pryor of the Kansas City Star reports. "Sammy's continuing to make progress in the right direction.," Reid said Monday. "Can't tell you exactly what his status is." Watkins (foot) has been ruled out for Thursday's game against the Chargers. Analysis: Meanwhile, top wideout Tyreek Hill (heel/wrist) is listed as questionable for the contest. If Hill is unable to go, newcomer Kelvin Benjamin could factor more prominent into the Chiefs' game plan than anticipated. In any case, Chris Conley should earn plenty of snaps in Week 15, while Demarcus Robinson's profile within the Chiefs' offense would also expand if Hill is limited or out against Los Angeles. Watkins (foot) won't take part in Tuesday's practice, Brooke Pryor of The Kansas City Star reports. Watkins (foot) was listed as a non-participant on Monday's practice report. Watkins (foot) is inactive for Sunday's game against the Ravens, Adam Teicher of ESPN.com reports. Watkins (foot) is listed as doubtful for Sunday's game against the Ravens, BJ Kissel of the Chiefs' official site reports. Coach Andy Reid confirmed Watkins suffered a setback with his right foot during Thursday's practice but noted that results from the wideout's MRI weren't too discouraging, BJ Kissel of the Chiefs' official site reports. Watkins (foot) is expected to miss the next 4-to-6 weeks, Sam Mellinger of The Kansas City Star reports. Analysis: Watkins reportedly suffered a setback during Thursday's practice and is now unlikely to play before the end of the regular season. The Chiefs signed Kelvin Benjamin on Thursday, but they're more likely to use Demarcus Robinson and Gehrig Dieter as depth options behind Tyreek Hill and Chris Conley during Sunday's game against the Ravens. Ian Rapoport of NFL Network reports that Watkins will try to rest his foot until the playoffs, hoping to get back on the field at some point in January. Watkins reportedly aggravated his foot injury during Thursday's practice and required an MRI afterward, according to Carrington Harrison of 610 Sports Kansas City. Watkins (foot) remained limited at practice Thursday. Watkins (foot) was limited at practice Wednesday. Analysis: Watkins' return to practice is a step in the right direction, but he remains in the day-to-day category and isn't a lock to play Sunday against the Ravens. If Watkins misses that contest, added snaps and targets would again be available for Chris Conley. Watkins (foot) will return to practice Wednesday, Adam Teicher of ESPN.com reports. Analysis: The wideout has missed two of the Chiefs' last three games with a foot issue and was limited in the lone contest he suited up in, but Watkins' return to practice suggests that he has a chance to play Sunday against the Ravens. With that in mind, coach Andy Reid is labeling Watkins day-to-day at this stage, according to Brooke Pryor of The Kansas City Star. Coach Andy Reid announced that Watkins (foot) has been ruled out for Sunday's game against the Raiders, Adam Teicher of ESPN.com reports. Watkins (foot) remained sidelined at practice Thursday, Brooke Pryor of The Kansas City Star reports. Analysis: Back-to-back missed practice sessions don't bode well for Watkins' chances of playing Sunday against the Raiders. We'll revisit his status Friday, but if he ends up out this weekend, added opportunities would be available for Chris Conley in Week 13. Watkins (foot) won't practice Wednesday, BJ Kissel of the Chiefs' official site reports. Coach Andy Reid acknowledged Monday that Watkins is still dealing with some foot soreness, Brooke Pryor of The Kansas City Star reports. Analysis: Watkins was held out for Week 10 and limited to five snaps Week 11, with the Chiefs hoping he would come back from a Week 12 bye at full strength. It seems he's still bothered by his foot as the team begins preparation for Sunday's game in Oakland, but Reid declined to elaborate on the situation. Given the opponent, it won't come as any surprise if the Chiefs opt for a cautious approach with Watkins once again. The team will release its initial Week 13 injury report Wednesday. Watkins (foot) started but played just five of the Chiefs' 72 offensive snaps in Monday's 54-51 loss to the Rams. He hauled in his lone target for a four-yard reception. Watkins (foot) is listed as active and starting in Monday night's game against the Rams, BJ Kissel of the Chiefs' official site reports. Analysis: Watkins returns after a one-game absence and in the process profiles as the No. 3 option in the Chiefs' passing game behind fellow receiver Tyreek Hill and tight end Travis Kelce. Prior to his latest injury, it was a role that yielded decent fantasy output for Watkins in the team's Patrick Mahomes-helmed offense. Over his last three outings, Watkins hauled in 17 passes on 21 targets for 243 yards and two TDs. Watkins (foot) is listed as questionable for Monday's game against the Rams, BJ Kissel of the Chiefs' official site reports. Analysis: Watkins didn't practice the last two days after putting in a limited session Thursday, so the questionable tag was to be expected. Coach Andy Reid is considering the 25-year-old day-to-day, and it could very well come down to a game-time decision. Chris Conley and Demarcus Robinson would see increased snaps should Watkins be unable to suit up Monday. Watkins (foot) didn't participate at Saturday's practice and coach Andy Reid said he is currently considered day-to-day, Brooke Pryor of The Kansas City Star reports. Analysis: Reid also indicated that Watkins is making progress and that he was held out of practice the last two days after logging a limited session Thursday mostly due to rest, Pete Sweeney of ArrowheadPride.com reports. The official injury report will be released by the Chiefs later Saturday, but Watkins currently appears destined to receive at least a questionable tag for Monday's game against the Rams. Watkins (foot) won't participate in Friday's practice, BJ Kissel of the Chiefs' official site reports. Analysis: Watkins was limited during Thursday's session, so the downgrade in participation is notable. It remains to be seen if the change is indicative of a setback or simply a case of the Chiefs resting the wideout with an eye toward having him ready for Monday's game against the Rams. Watkins (foot) logged a limited practice Thursday. Watkins (foot) is slated to practice Thursday, Brooke Pryor of The Kansas City Star reports. Analysis: We'll circle back on the wideout's status later Thursday to relay his level of participation, but Watkins' presence at practice is in step with previous reports that he has a good chance to return to action Monday night against the Rams. Coach Andy Reid said Watkins (foot) has a good chance to return for Week 11 against the Rams in Mexico City, Brooke Pryor of The Kansas City Star reports. 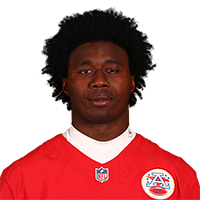 Watkins (foot) is inactive for Sunday's game against the Cardinals, BJ Kissel of the Chiefs' official site reports. Analysis: With Watkins out Sunday, Chris Conley and Demarcus Robinson figure to be in line for expanded roles in Kansas City's three-wideout formations while working behind top receiver Tyreek Hill. Watkins (foot), who is listed as questionable for Sunday's game against the Cardinals, is considered unlikely to play, sources tell Ian Rapoport of NFL Network. Watkins (foot) is listed as questionable for Sunday's game against the Cardinals after returning to a limited practice Friday, BJ Kissel of the Chiefs' official site reports. Analysis: We'll look for added context with regard to Watkins' status as the contest approaches, but fortunately for those considering him in Week 10 fantasy lineups, the Chiefs kick off at 1:00 PM ET on Sunday. If Watkins ends up being ruled out or limited at all, Chris Conley's profile in the Chiefs offense would expand this weekend, with Demarcus Robinson also a candidate for added snaps in such a scenario. Watkins (foot) returned to practice Friday, Adam Teicher of ESPN.com reports. Analysis: We'll circle back on Watkins' status later Friday to see how the Chiefs classify his participation level as well as his official Week 10 injury designation. Back-to-back missed practices Wednesday and Thursday had Watkins trending in the wrong direction, but his return to the field Friday offers hope that he could potentially suit up Sunday against the Cardinals. Analysis: Watkins is thus trending in the wrong direction in advance of Sunday's game against the Cardinals. If he ends up being ruled out, Chris Conley's profile in the Chiefs offense would expand this weekend, with Demarcus Robinson also a candidate for added Week 10 snaps. Analysis: That's not really a surprise after Ian Rapoport of NFL Network noted earlier Wednesday that Watkins' foot injury -- while viewed not serious -- could impact the wideout's status for Sunday's game against the Cardinals. If Watkins ends up sidelined this weekend, added snaps at receiver would be available for Chris Conley and Demarcus Robinson. Watkins required an MRI after experiencing pain in his foot following Sunday's 37-21 win over the Browns, Ian Rapoport of NFL Network reports. The Chiefs don't view the injury as a major concern, but it could impact the wideout's availability for the team's Week 10 matchup with the Cardinals. Coach Andy Reid relayed after Sunday's win over the Browns that Watkins "banged up his foot" a little bit during the contest, BJ Kissel of the Chiefs' official site reports. Analysis: Meanwhile Adam Teicher of ESPN.com notes that while Watkins was spotted limping through the Chiefs' locker room after the game, Reid indicated that "it looks like (Watkins) should be fine." Watkins "exited the locker room, limping and walking gingerly" following Sunday's 37-21 win over the Browns, Brooke Pryor of The Kansas City Star reports. Analysis: We'll look for added details, but the wideout was spotted getting looked at by trainers during the game, so his status for next week's contest against the Cardinals is worth watching. Watkins finished Sunday's tilt with five catches (on as many targets) for 62 yards and one carry for two yards. Watkins caught eight of nine targets for 107 yards and two touchdowns during Sunday's 30-23 win over Denver. Watkins caught four passes (seven targets) for 74 yards in Sunday's 45-10 win over the Bengals. Watkins caught just two passes for 18 yards on four targets Sunday night against the Patriots. Analysis: Although Watkins played all 54 offensive snaps on the night, he drew little attention from quarterback Patrick Mahomes, posting a season low in all statistical categories for games he played the majority of snaps. He will look to get back on track next week against a banged-up Bengals defense that has allowed 292 passing yards per game this season. Watkins caught six of eight targets for 78 yards during Sunday's 30-14 win over the Jaguars. Watkins (hamstring) is listed as active or Sunday's game against the Jaguars, BJ Kissel of the Chiefs' official site reports. Analysis: Watkins profiles as the No. 3 option in the Chiefs' passing game behind tight end Travis Kelce and fellow receiver Tyreek Hill. 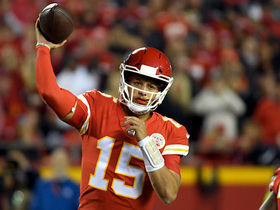 However, assuming no setbacks with his hamstring Sunday, that's a role that could yield a decent level of production, with QB Patrick Mahomes having started the season averaging 300 yards in the air while carving out a 14/0 TD pass ratio through four contests. There is optimism that Watkins (hamstring) will play Sunday against the Jaguars, Ian Rapoport of NFL Network reports. Analysis: Assuming no setbacks in warmups, it looks like Watkins will play through what Rapoport describes as a minor hamstring issue. Official confirmation of the wideout's status, either way, will arrive before the first wave of games Sunday, with the Chiefs kicking off at 1:00 ET. Watkins (hamstring) is listed as questionable for Sunday's game against the Jaguars after practicing in a limited fashion all week. Analysis: The Chiefs' Week 5 injury report is rather lean with Eric Berry (heel) listed as doubtful and Watkins one of three players the team lists as questionable. Fortunately for those considering him in fantasy lineups this weekend, the team kicks off at 1 p.m. EDT on Sunday. When available, Watkins profiles as the Chiefs' No. 3 option in the passing game behind tight end Travis Kelce and fellow receiver Tyreek Hill. Watkins (hamstring) was limited at practice Wednesday. Analysis: Watkins, who left Monday's game against the Broncos in the first half with a hamstring injury, is thus trending in the right direction as the Week 5 game against the Jaguars approaches. Prior to getting hurt in Week 4, Watkins was on the upswing. When healthy, he's the Chiefs' No. 3 option in the passing game behind tight end Travis Kelce and fellow receiver Tyreek Hill. Watkins (hamstring) will practice Wednesday, BJ Kissel of the Chiefs' official site reports. Analysis: It remains to be seen if Watkins will be limited or practice fully, but his presence on the field Wednesday in any capacity bodes well for his chances of suiting up Sunday against the Jaguars. Watkins played just 12 offensive snaps in the Week 4 win over the Broncos before departing with the hamstring injury and getting ruled out for the remainder of the contest. Watkins was able to do some light jogging Monday night after suffering a hamstring injury and is set to undergo an MRI, Mike Garafolo of NFL Network reports. Analysis: Th extent of the injury won't be known until MRI results on Watkins' hamstring return, but given that the wideout was able to jog Monday night, the Chiefs are optimistic that he avoided a serious injury. Look for an update on Watkins' health to come later Tuesday once the team receives test results back. Watkins (hamstring) has been ruled out for the remainder of Monday's game against the Broncos. Analysis: Watkins suffered a hamstring injury early in the second quarter of Monday's contest. With the veteran sidelined for the rest of the night, look for Chris Conley, Demarcus Robinson and De'Anthony Thomas to all potentially see increased snaps on offense. Watkins is questionable to return to Monday's game at Denver due to a hamstring injury. Analysis: Prior to his departure, Watkins had been blanked in the box score on his sole target. If he remains sidelined, it would open the door for Chris Conley, Demarcus Robinson and De'Anthony Thomas to take on additional offensive snaps. Watkins hauled in five of eight targets for 55 yards and a touchdown and rushed twice for 20 yards in the Chiefs' 38-27 win over the 49ers on Sunday. He also fumbled once. Watkins snagged six of seven passes for 100 yards during Sunday's 42-37 win over Pittsburgh. He added a 31-yard run. Watkins caught three of five targets for 21 yards in Sunday's 38-28 win over the Chargers. Analysis: Watkins caught just one pass in the preseason, so his chemistry, or lack thereof, with Patrick Mahomes is still a work in progress. Mahomes put up great numbers Sunday, throwing for 256 yards and four touchdowns, but Tyreek Hill was the only one who really benefited, catching seven passes for 169 yards and two touchdowns. Watkins is likely to have some big games as the season rolls along, although it might be tough to time it out. He'll look to make an impact at Pittsburgh in Week 2. Watkins isn't expected to play in Thursday's preseason finale against the Packers, Nate Taylor of The Athletic Kansas City reports. Analysis: As is almost customary for starters in the final preseason contest, Watkins will most likely join his fellow starters on the sidelines to ensure his health for the opener and allow for the backups to make a name for themselves before roster cuts arrive. The fifth-year wideout will need to compete with Tyreek Hill, Travis Kelce and Kareem Hunt for targets this season and hasn't gotten off to a very encouraging start with just one catch in the preseason. Watkins caught one of his four targets for 15 yards during Saturday's preseason contest against the Bears. Watkins, who has yet to haul in a pass in preseason action, will look to pick up the pace Saturday against the Bears, Adam Teicher of ESPN.com reports. Watkins was held without a catch on three targets in Friday's preseason game against Atlanta. Watkins is in uniform for Thursday's preseason opener against the Texans, Nate Taylor of The Athletic Kansas City reports. Analysis: Watkins, who missed practice time this week after picking up a hip injury during Monday's session, is going through pregame drills without any noticeable problem. It isn't certain if he'll actually log any snaps Thursday, but Watkins' mere availability for an exhibition game suggests that injury he was dealing with isn't anything too worrisome. Watkins (hip) won't practice Tuesday, Adam Teicher of ESPN.com reports. Analysis: Watkins walked out on the field with his teammates to observe practice, supporting the notion that the injury he suffered Monday isn't serious. While he'll likely be held out of Thursday's preseason opener against the Texans, this doesn't seem like anything that will threaten his Week 1 availability. Watkins was forced out of Monday's practice early due to a hip issue, BJ Kissel of the Chiefs' official site reports. Analysis: On the plus side, Ian Rapoport of NFL Network relays that Watkins' injury isn't major and that the wideout's exit from practice is being portrayed as precautionary. When healthy, Watkins is slated to start opposite Tyreek Hill, with the three-year, $48 million contract the Chiefs handed Watkins this offseason clearly indicative of the big plans the team has for the 2014 first-rounder. Watkins said Tuesday that Chiefs head coach Andy Reid is making him a better player by asking him to learn all the receiver positions in the Kansas City offense, Adam Teicher of ESPN.com reports. "I've never been in an offense like this, around a coach that just feels like he's obsessed with the game and makes you want to be obsessed with it, too, to know more about the offense," said Watkins. "The more you break it down the more you can be available and switching different positions." 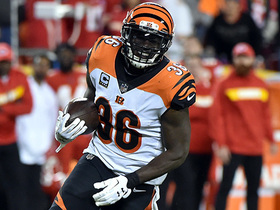 Watkins signed a three-year, $48 million contract with the Chiefs, receiving a $21 million signing bonus and $30 million in total guarantees, Aaron Wilson of the Houston Chronicle reports. Watkins intends to sign with the Chiefs when free agency opens Wednesday, ESPN's Adam Schefter reports. Analysis: Confirmation of Watkins' plans will come when players can officially sign with teams, but he appears headed back to the AFC after spending last season with the Rams. A theoretical Watkins-Tyreek Hill combination would give quarterback Pat Mahomes a dynamic wide receiver duo as he begins his stint as starter in Kansas City. Watkins will not receive the Rams' franchise tag, Jason La Canfora of CBS Sports reports. The Rams will use their franchise tag on either Watkins or safety Lamarcus Joyner prior to the 4:00 p.m. EST deadline Tuesday, Ian Rapoport of NFL Network reports. 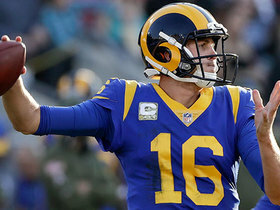 Analysis: The Rams may wait until the last minute to make a final decision, perhaps hoping to work out a long-term deal with one of the two players. Watkins is a bigger name among fans, but Joyner played at a higher level in 2017, and the franchise tag is much cheaper for safeties than for wide receivers. The 24-year-old wideout may soon have a shot to test free agency, where he and Allen Robinson (knee) would be the top two players at their position, assuming Robinson isn't tagged by the Jaguars. Watkins said it would be a pleasure to re-sign with the Rams following Saturday's 26-13 loss to Atlanta in the wild-card round, the Rich Hammond of the Los Angeles Daily News reports. He caught one of four targets for 23 yards in the defeat. Head coach Sean McVay said Thursday that the Rams offense won't "see much" of Watkins versus the 49ers on Sunday, Rich Hammond of the Los Angeles Daily News reports. Analysis: Watkins has been fairly touchdown-dependent during his first season with the Rams. While he's repaid owners richly with exactly one TD in six of the last eight outings, his averages otherwise (2.6 catches for 41.1 yards on 5.1 targets per game) are underwhelming for a player of his pedigree. Because the Rams have already clinched the NFC West, they are expected to restrict the workload or outright sit Watkins, Todd Gurley, Jared Goff, Robert Woods and Cooper Kupp (knee) in Week 17. Watkins hauled in three of seven passes for 30 yards and one touchdown during Sunday's 27-23 win at Tennessee. Watkins caught just two of five targets for 14 yards during Sunday's 42-7 win over Seattle. Watkins caught three of seven targets for 21 yards and a touchdown during Sunday's 43-35 loss to the Eagles. Watkins caught three of four targets for 38 yards and a touchdown during Sunday's 32-16 victory over the Cardinals. Watkins recorded four receptions (on nine targets) for 82 yards and one touchdown during Sunday's 26-20 victory versus the Saints. Watkins brought in three of four targets for 36 yards in Sunday's 24-7 loss to the Vikings. Watkins (foot) wasn't listed on the Rams' injury report Wednesday, Rich Hammond of the Los Angeles Daily News reports. Watkins said his foot is fine when he was asked about it after Sunday's 33-7 win over the Texans, Alden Gonzalez of ESPN.com reports. Analysis: While he didn't appear to leave the game for an extended period, Watkins apparently hurt his foot at some point along the way. He finished with two catches for 41 yards and a touchdown on three targets, nabbing his receptions on consecutive snaps late in the third quarter. Watkins may be listed on the injury report this week, but it doesn't sound like he's in too much danger of missing Sunday's game in Minnesota. He's drawn more than five targets just once in nine games this season. Watkins caught two of three targets for 41 yards and a touchdown in Sunday's 33-7 win over the Texans. Watkins turned his only catch into a 67-yard touchdown in Sunday's 51-17 win over the Giants. NFL Network's Fantasy Live crew previews what to expect from the upcoming Week 11 Monday Night Football matchup between the Kansas City Chiefs and the Los Angeles Rams. NFL Network's Cynthia Frelund tells you the under the radar players on high scoring teams for Week 11. 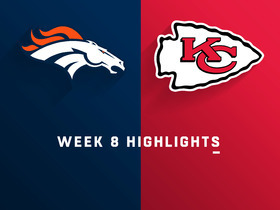 Kansas City Chiefs quarterback Patrick Mahomes throws for over 300 yards and four touchdowns and the defense comes up big late in a 30-23 win over the Denver Broncos in Week 8. 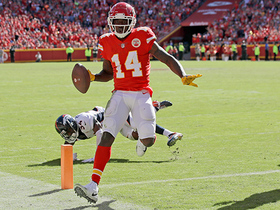 Kansas City Chiefs wide receiver Sammy Watkins bursts onto the scene in Week 8, catching eight passes for over 100 yards and two touchdowns in his team's 30-23 win over the Denver Broncos in Week 8. Kansas City Chiefs wide receiver Sammy Watkins shows his moves as he races away from the Denver Broncos defense on a 24-yard catch. Kansas City Chiefs wide receiver Sammy Watkins catches a short pass from quarterback Patrick Mahomes and races to the pylon for a 10-yard touchdown. Kansas City Chiefs quarterback Patrick Mahomes throws a 13-yard touchdown pass to wide receiver Sammy Watkins. 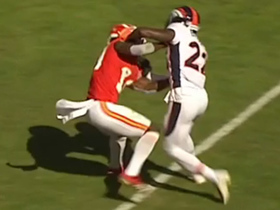 Kansas City Chiefs quarterback Patrick Mahomes tosses a 24-yard pass to wide receiver Sammy Watkins, and Tyreek Hill is thrown to the ground by Denver Broncos cornerback Tramaine Brock away from the play. Kansas City Chiefs quarterback Patrick Mahomes dials up a deep launch to wide receiver Sammy Watkins for 51 yards.